Throughout history, animals have been used to help people in various ways, including different types of therapy. The first known animal therapy program was established sometime in the ninth-century. A farm in Gheel, Belgium, focused on helping disabled people by allowing them to work with the farm animals for their treatment. In the late 1700s, the York Retreat, an asylum in England, was the first to actually document the use of animals dealing with the mentally ill, as they encouraged the residents to work on the farm on the property. Florence Nightingale was known to recommend small animals to her patients, believing that they provided companionship and pleasure. She wrote “A small pet animal is often an excellent companion for the sick, for long chronic cases especially. A pet bird in a cage is sometimes the only pleasure of an invalid confined for years to the same room.” During the 19th century, farm animals were being used for patients with epilepsy in Germany, and the British were recommending animals for mental institutions. In 1919 the United States military used dogs for therapeutic intervention with psychiatric patients at St. Elizabeth’s Hospital in Washington, D.C. The first documented use of animals in therapy occurred in Pawlenty, NY, during WWII, at the Army Air Corps Convalescent Hospital where farm animals were used for traumatized veterans. But it wasn’t until late in the 1900s that using animals in therapy started to become more recognized and respected. The term “pet therapy” was originally coined by Dr. Boris Levinson in 1964, when he accidentally discovered that using pets in his psychology sessions with children helped the children relax their defenses. He was asked by a child’s mother to help with her 9-year-old son, as the boy was extremely withdrawn and past therapeutic sessions had not been helpful. Levinson agreed, and when the boy was brought into his office, his dog, Jingles, eagerly greeted the boy. The boy reacted positively with the dog, hugging the dog’s neck and speaking. Dr. Levinson later realized that the presence of the dog helped the boy to lower his defenses and begin to relate to others. Dr. Samuel Corson also discovered the positive influence of dogs on people by accident when a severely withdrawn patient at the psychiatric center asked to see the dogs that Dr. Corson was doing research with. It was arranged for the teenager to visit the kennels and take a dog for a walk. Afterwards, the teen was very communicative with the staff and was so enthusiastic that his therapists began to use dogs in his treatment. Dr. Corson and the other psychiatrists at the hospital were so impressed with the reaction that they began using dogs with other patients. A 19-year-old psychotic was released soon after being introduced to the dogs, as he rapidly advanced from being totally unresponsive and mute to interacting with the therapists and others. Dr. Levinson submitted a paper to the American Psychological Association (APA) convention in 1961 with his findings, but received mixed reactions. Interestingly, a survey at that time of 319 psychologists discovered that 16% of them were using companion animals with their clients. Although both Dr. Levinson and Dr. Corson began to study the use of dogs in therapy and promote it in practice, they were not taken very seriously until after Sigmund Freud’s work with his dog Jofi came out. Dr. Freud believed that he could read his patients better with Jofi in the room by the way that Jofi reacted to them. Dr. Corson noted that it seemed that patients were more relaxed when a companion animal was in the room and they would speak more often and significantly longer. The first books published covering animal assisted therapy were Pet-Oriented Child Psychotherapy in 1969 and Pet and Human Development in 1973, written by Dr. Levinson. He also wrote many journal articles on the subject with the hope of teaching his fellow therapists and psychologists the many benefits of companion animals. Studies were conducted that corroborated Dr. Levinson’s and Dr. Corson’s beliefs that animals served a purpose in therapy work. It was also found that the animals influenced the health of those who interacted with them, lowering blood pressure and stress, improving cardiovascular health and raising the release of oxytocin, which helps humans feel happier and more trusting. Due to these findings, two different associations were started to recognize and encourage the use of therapy dogs. Therapy Dogs International was created in 1976 by a nurse, Elaine Smith. According to the TDI website, “The goal of the organization is to unite and increase the number of available Therapy Dogs, give them the recognition they deserve, and to educate facilities about the importance and benefit of Therapy Dog visits.” Through TDI, dogs are tested, certified, insured, and registered as volunteer Therapy Dogs. The first therapy dog visits took place in the same year, with 5 German Shepherds and 1 Collie. As of 2012, about 24,750 dog/handler teams were registered with TDI. In 1977, the Delta Foundation was established in Portland, OR. The Delta Foundation was formed by Dr. Michael J. McCulloch, a psychiatrist, and his brother Dr. William McCulloch, a veterinarian, and doctors Leo K. Bustad, R.K. Anderson, Stanley L. Diesch, Joe Quigley, and Alton Hopkins, all also veterinarians. 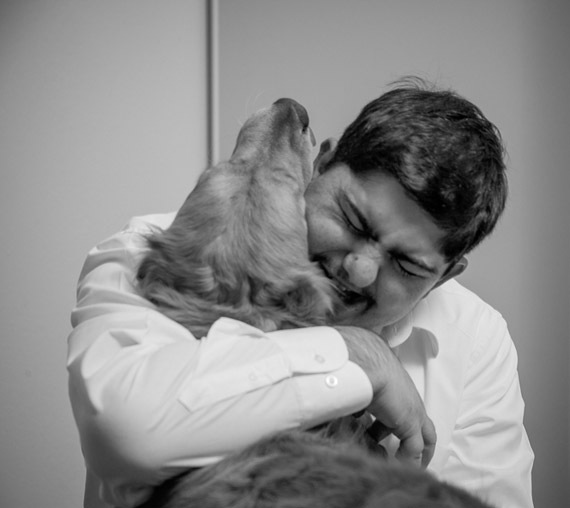 These professionals had come together with the same observations: that pets had a positive impact on their client’s lives as well as their own. They realized that more research was needed, as there were few studies done at the time, and they believed that the medical community could benefit from it. In 1981, the name was changed to Delta Society to reflect the growing interest of researchers and medical practitioners in the field of animal assisted therapy. This year also saw the development of the American Veterinary Medical Association’s (AVMA) Human-Animal Bond Task Force. Begun by Dr. Bill McCulloch, DVM, this task force reviews the profession’s role in recognizing and promoting the human-animal bond and continues today. The name was changed once again to Pet Partners in 2012 to better reflect their growing mission. New programs have been developed over the last 35 years to improve the positive interactions with animals in therapy, service and companionship. One of those programs is the National Service Dog Center®, which focuses on advocating for the acceptability of service dogs in public places as well as providing tools for those who are disabled and searching for a service dog trainer and an understanding of their rights. They also developed the Pet Partners® program which offers training in animal-assisted activities and therapy for volunteers and health care professionals. Interestingly, the military has also become aware of the human-animal bond and the use of animals in therapy. As noted earlier, animals were used at various times in history to help the veterans, but it wasn’t until the 1980s that the U.S. Army Veterinary Corps developed a program to recognize this. A 2-year Masters of Public Health program was established with an emphasis in the human-animal bond and community health specialties at the University of Tennessee in Knoxville. Also the U.S. Army Service Dog Training Center (SDTC) was established at Fort Knox, Kentucky. This program trained stray dogs for physically disabled veterans or family members, but sadly it was cut due to budget constraints. Numerous animal-assisted programs operate at several of the Army Medical Centers throughout the country. There is an equine-assisted therapy program at Fort Myer, VA, and the Walter Reed National Military Medical Center has several programs in place that allow rehabilitating soldiers to train potential mobility service dogs for other veterans who have mobility impairments. This program works in conjunction with the Warrior Canine Connection, a non-profit organization located nearby. Pairs of certified therapy dogs who have been specially trained are deployed to Iraq and Afghanistan and are attached to several combat and operational stress control units. 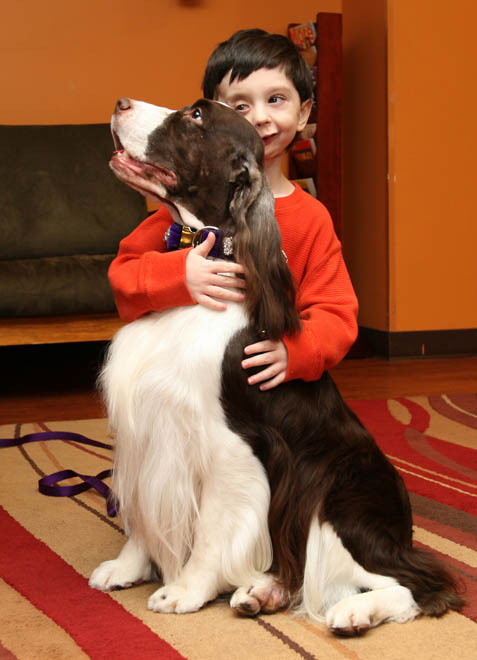 Animal-assisted therapy or pet therapy has come a long way since its early roots. Presently therapy animals can be found in nursing homes, hospitals, libraries, schools, prisons, mental institutions and of course, our homes. With more awareness of how animals affect our lives, the future will prove to be fascinating as we discover more ways that we can strengthen the human-animal bond. More information on the use and benefits of pet therapy can be found in the popular title Our Faithful Companions by Aubrey H. Fine, Ed.D. This entry was posted in Animal Therapy and tagged animal-assisted therapy, dogs used in therapy, history of animal-assisted therapy, human-animal bond. Bookmark the permalink.